At the beginning of the 2018-2019 school year, Florence Crittenton Services and Mile High United Way (MHUW) began offering Center for Opportunity services on the FloCrit campus. Mile High United Way’s Centers for Family Opportunity provide a ladder for families to take steps to move out of poverty and toward economic success. Centers like the one at Florence Crittenton offer financial coaching, education workshops, and job skills classes. At FloCrit, Frank Knappe, Family Engagement Coordinator, and Emilia Pavia, Transitions Advocate, head up the Center for Family Opportunity, along with Patrick Walton from Mile High United Way. They work with both current moms and alumna. 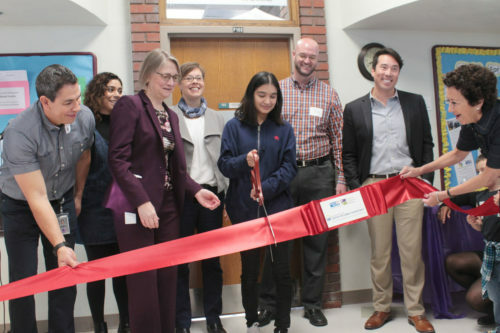 On March 1, 2019, the Center for Family Opportunity at Florence Crittenton Services had an official ribbon cutting. Members of both MHUW and FloCrit’s Boards attended along with members of the community, including Councilperson Jolon Clark and Councilperson At-Large Robin Kniech. 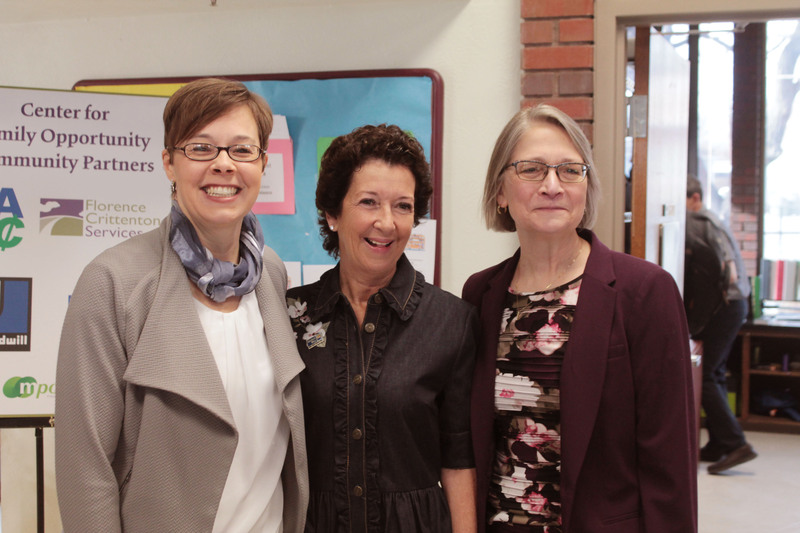 Attendees heard from Florence Crittenton President and CEO Suzanne Banning, Mile High United Way President and CEO Chistine Benero, Councilperson Robin Kniech, and current FloCrit mom Wendy. Two ECE Center preschoolers even helped to hold the ribbon during the cutting. FloCrit teen mom Wendy has taken advantage of the financial education classes offered by community partner mpowered. Since 2002, mpowered has provided affordable programs to help more than 60,000 people make informed financial choices and create financial security. It is a leader in financial education and champions financial security as one of the most important components of a healthy lifestyle. 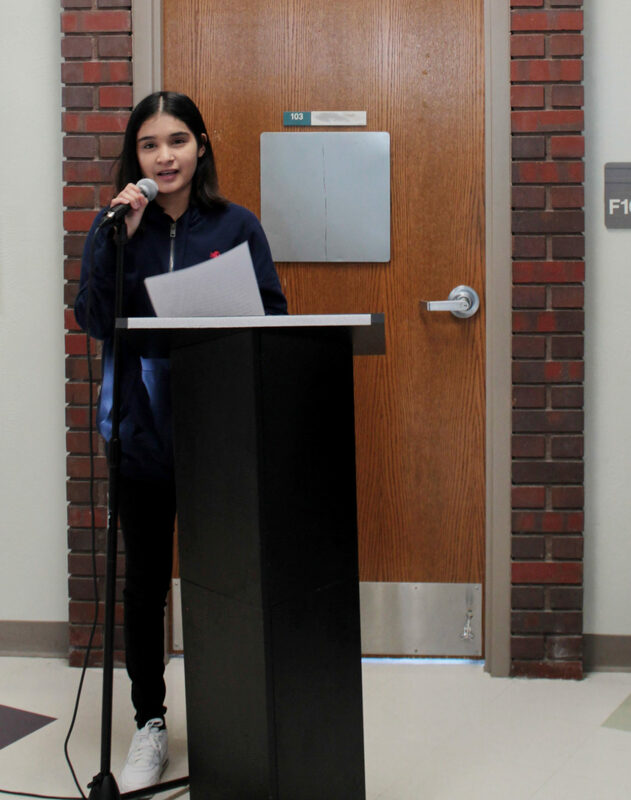 “I’ve gone to the mpowered classes about four times,” says Wendy, who will graduate in 2020. “They talk about how to figure out a savings plan or a game plan for anything, like if you want to go on a trip in seven months, what expenses you should cut.” Mpowered has offered sessions at FloCrit on topics such as Teaching Kids About Money, Exploring Money Beliefs, and Five Foundations of Personal Finance. In one session, mpowered staff recommended the finance app Mint. Wendy and her boyfriend Jose both downloaded it onto their phones. It has helped them see where they spend their money without having to sit down and go through receipts, which they do not have time to do. The sessions have really made Wendy and Jose think about saving their money. “I didn’t have a savings account before, but I just got one,” says Wendy. “I set it up in a way that every time I swipe my card, it rounds up to the nearest dollar, and that change I didn’t use goes directly to my savings account.” Wendy and Jose both work and are putting part of their paychecks toward building an emergency savings fund with at least one month’s expenses in it. They are also saving up to take a family trip with their two sons in September, something that will be doable financially now that they have knowledge from the mpowered classes.